Last week armed only with a garden hose, an expired bug fogger and a Polar Vortex, my husband constructed the Redneck Rink of Dreams. 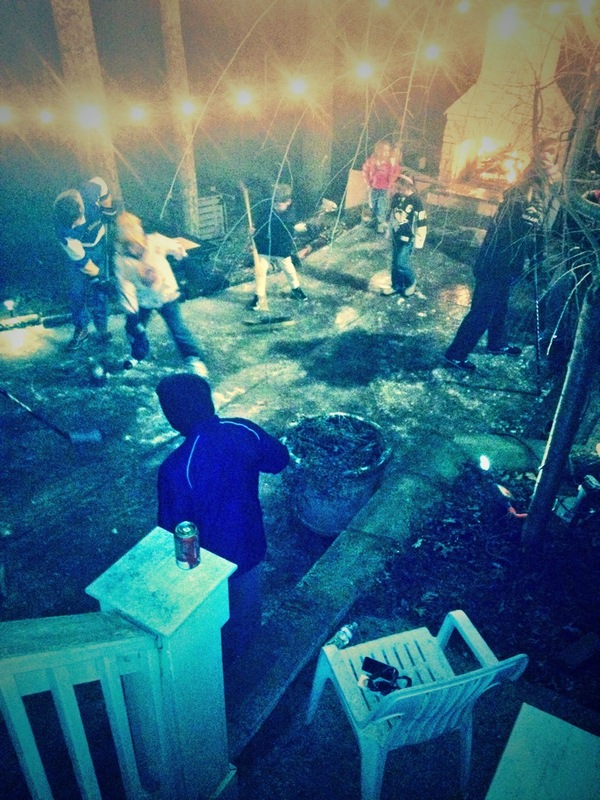 I readily admit that I was the Flo to his Andy Capp the night he came home and decided to flood our back patio to make an ice rink for the kids. I didn’t think that the retention wall made out of old logs and bean bags from the corn hole game would work. I didn’t think the pebble-studded aggregate was a particularly conducive surface in which to make a smooth base for a sheet of ice. I didn’t think his choice of equipment—a can of Off! 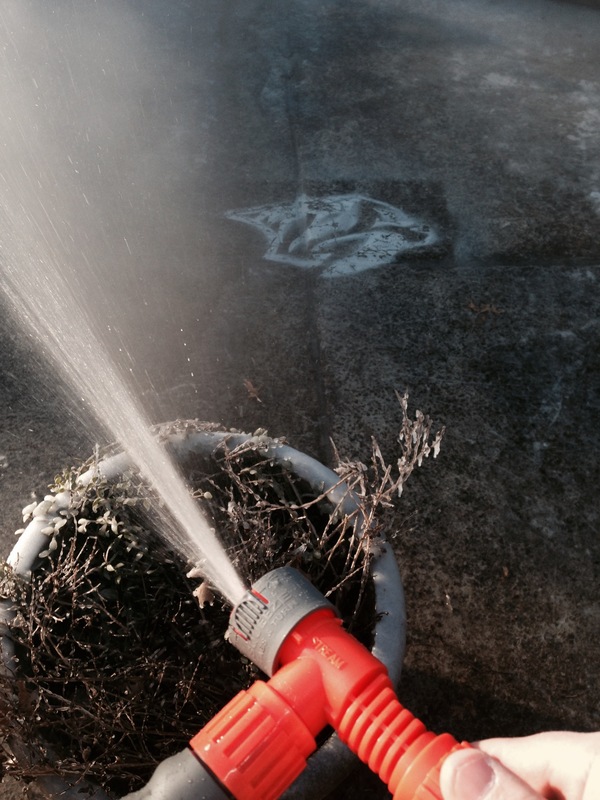 spray attached a garden hose would create the effect he was going for. And I certainly had my doubts when we didn’t have a hot showers for three days and his “ice crew” consisted of the dog and a Swiffer. But I think he, too, doubted his plans at times. Perhaps at 2 am when the Titanic iceberg formed as the outside spigot froze. Or maybe again at 6 am when he decided to use the closest thawed water source—the hot water heater—to run the hose from through the house out the back door creating a cold front in our basement so bitter that Jim Cantore named it Elsa. And maybe he wavered again 20 minutes later when he heard rushing water after the hose had melted off the hot water heater valve. And perhaps the panicked text, “Buy 100 ft hose on your way home. And salve. Don’t ask,” was also a sign that things weren’t going as planned. And maybe second thoughts creeped in after he emptied the wet vac in his suit outside that his tie stood at 90 degree angle with frozen cobwebs and dust bunnies attached. 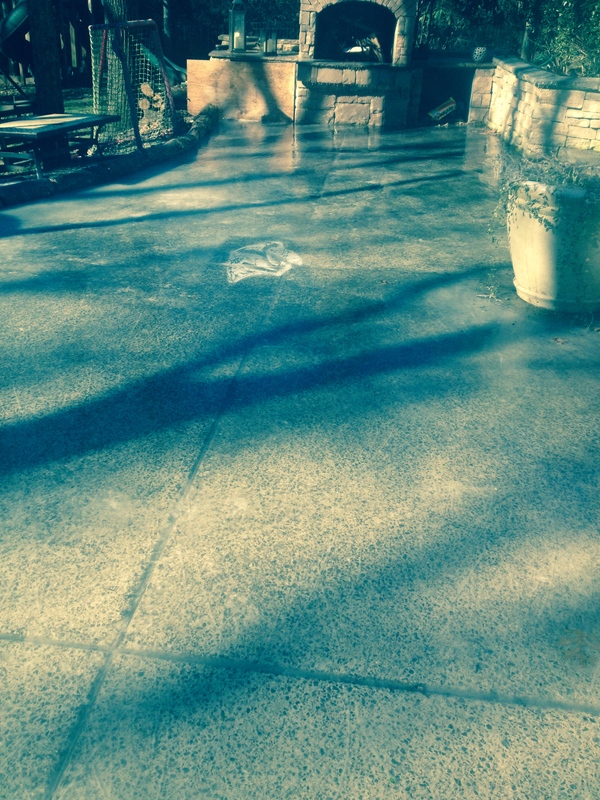 His confidence certainly wouldn’t have been buoyed when he stenciled an NHL logo with permanent paint that may or may not have bled slightly into the actual patio beneath promising a new level of spring cleanup. Or when instructing the boys on how to layer the ice in his absence included a screw driver, an oven mitt, and a Don’t Tell Your Mother speech. And when the local news stations ran story after story about the unseasonably frigid temperatures and how to stay safe and warm in the dangerous weather conditions, his habit of standing outside in his pajamas and flap hat like Cousin Eddie couldn’t have been reassuring. And certainly the complaints stuffing our mailbox from neighbors, the Homeowner’s Association and our insurance agent could not have been misconstrued as letters of support. But Mother Nature must have had her curiosity piqued because she gave us a window just long and cold enough to make it work. And so for two nights last week a bunch of Southern kids got to do what we northerners do every weekend from November to March: play hockey outside. They strapped on their skates, picked up their sticks, and played. Neighbors came. Friends stopped by. They slid, slipped and slopped along the smoothest sheet of glass this side of the Mason-Dixon complete with graphics and overhead lighting so the game could go on all night. Even if instead of old baseball players it’s the water authority and higher homeowner’s insurance premiums. Classic! My husband threathened to flood our raised garden beds with the hopes of creating a rink.